If you've ever been lucky enough to catch The Strokes live, you probably noticed the crowd's energy transform as soon as the band walked onstage. Whether it was at a festival or a small venue back in the day, the New York City five-piece have the kind of connection with their fans that all musicians hope to one day achieve. This past weekend, however, Julian Casablancas, Nick Valensi, Albert Hammond Jr., Nikolai Fraiture, and Fabrizio Moretti had one of their most memorable sets yet, playing to their biggest crowd ever at Lollapalooza Argentina. As Saturday's headliners, the band stood in front of nearly 100,000 people in Buenos Aires on the main stage at the San Isidro Hippodrome. Taking to social media to commemorate the milestone, Fraiture posted an Instagram with the caption reading, "Muchas Gracias Argentina!! All 90,000 of you!! Our biggest show ever!" Kicking off their set with "The Modern Age" from the 2001 album, Is This It, they carried on through classics like "Reptilia", "Automatic Stop", and "New York City Cops" before blessing those in attendance with three (yes, three) separate encores. "They told us to stop playing, but we were talking, and we're just having so much fun. Thank you!" 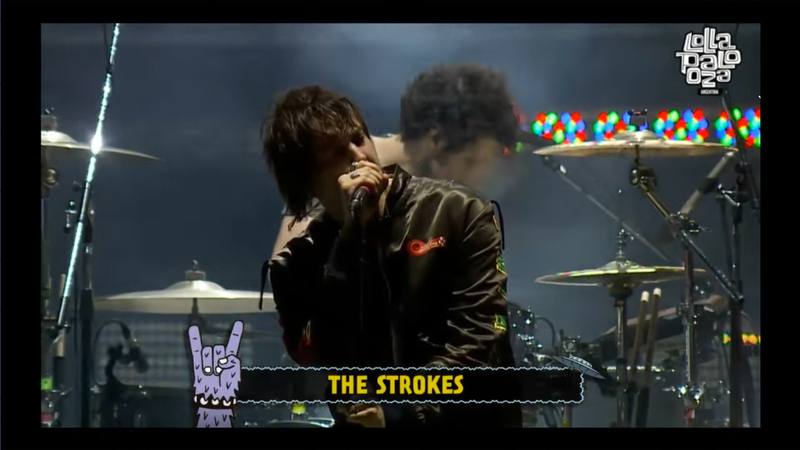 Casablancas said before breaking into their final song of the night, "Take It or Leave It". Check out videos from their historic set below, then make sure to Track The Strokes on Bandsintown to stay up-to-date with all their touring news!